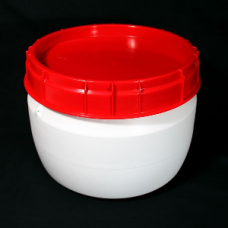 Plastic barrels for the storage and transportation of hazardous and valuable goods, chemicals, and solvents. 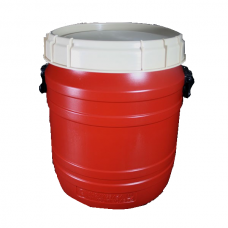 A tough, durable barrel, UN Class I approved, made from HDPE (high density polyethylene). 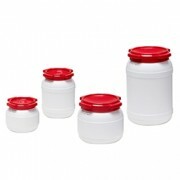 An airtight container suitable for high value food and pharmaceutical products. Manufactured to exacting standards. 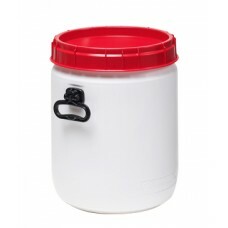 Total Opening Keg - 17 litre A specialist, white plastic drum with a red screw lid closure **CAN ONLY BE ORDERED AS A PALLET - 81 KEGS..
Total Opening Keg - 26 litre ** Please note that this Keg is a "Special Item" - The Minimum Order Quantity is one pallet (45 Drums) ..
Total Opening Keg - 34 litre Plastic drum with screw lid closure (red lid included) Designed for pharmaceuticals, specialty chemicals and ..
Total Opening Keg - 64 litre Plastic drum with screw lid closure (lid included) Currently stocked in LIGHT CHOCOLATE BROWN, with BEIG..